The sweet and fruity citrus-like flavor of this Habanero honey comes from our clover honey infused with a natural Habanero flavor emulsion. 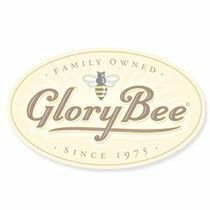 Each jar of raw GloryBee honey is guaranteed 100% pure. Suggested Uses: Infuse sauces, marinades, and vinaigrettes with this savory honey. Use as a glaze on your favorite protein or as a simple topping on foods such as corn bread. Mini Wooden Honey Dabber 4"